What began as a meager startup in 1998 has now become one of the world's most ubiquitous online payment systems: PayPal. Worth over $10 billion with more than 200 million users, PayPal has firmly established itself as an ecommerce giant. That's because it knew how to get its users to activation--to recognize its product's core value, or aha moment, and decide to stick around long-term. 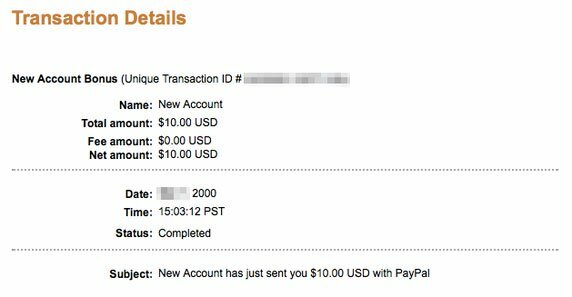 PayPal drove users to activation by showing that, if they get others to join, they can get free money. For every sign-up, new users would get $20 and an additional $10 for any referral. PayPal drove its users to activation and exponentially increased its user base by offering a simple sign-up and referral bonus. The incentive worked well. People quickly understood PayPal's value for them and grew the company's user base from 1 million in March 2000 to 5 million in the summer of 2000. And PayPal has continued to grow in user base size and revenue ever since it cracked its activation code. To build a business for long-term users, you'll need to crack your own activation code. That means understanding why your customers are coming into your app, what value your app delivers, and how you can engage them and get them to return. In this article, we're going to walk you through each step of the activation process. Let's get started! While driving high acquisition numbers and seeing tons of new users pour into the top of your funnel is great, acquisition alone won't help you build a sustainable business. You need activated users that will actually stick around. The first step to activation is understanding what your aha moment is. If you're envisioning something like a lightbulb moment right now, you'd be on the right track. Facebook: 7 Friends in 10 Days: Early on at Facebook, the growth team discovered that users who made 7 friends in 10 days were much more likely to be successful on the social network and stick around. Figuring out their aha moment allowed the growth team to focus all their activation efforts on getting new users to the 7 friends market. Fast forward to 13 years later and Facebook has retained over 1 billion users. Slack: 2,000 Messages Sent Per Team: Slack found that teams that sent over 2,000 messages were 93% more likely to stick around on the service. That's because the value proposition of Slack is based around communication and collaboration. Without a high exchange of messages on a team, the value of the app doesn't click. Netflix: Identifying 3 movies you like from a list of 20: Netflix found that the more personalized the viewing experience, the greater the likelihood the user would stick around. Soon after signing up, users were prompted to complete a survey ensuring this personalized experience. The survey asked them to choose their favorite movies amongst a list of 20. Those who chose at least 3 films were far more likely to keep their subscription, growing Netflix to what is now a $27 billion enterprise. You won't always have a nice, neat way to explain your aha moment. But finding it is the key to putting together a systematic process for user activation. And to do that, you have to dig into your numbers. While getting your users to realize the core value of your app sounds obvious, companies often find it difficult to pinpoint the exact moment that the app is unlocking value. You may have an inkling or a hunch, but you need numbers to back it up. We're going to walk you through a simple, three-step process that you can use to identify your aha moment. Acquisition cohorts are segmented according to their acquisition date (when they signed up). Behavioral cohorts are segmented according to their behavior. We're going to start with acquisition cohorts to figure out what groups of users are sticking around. Then we can buckle down into the actions they're taking in-app. 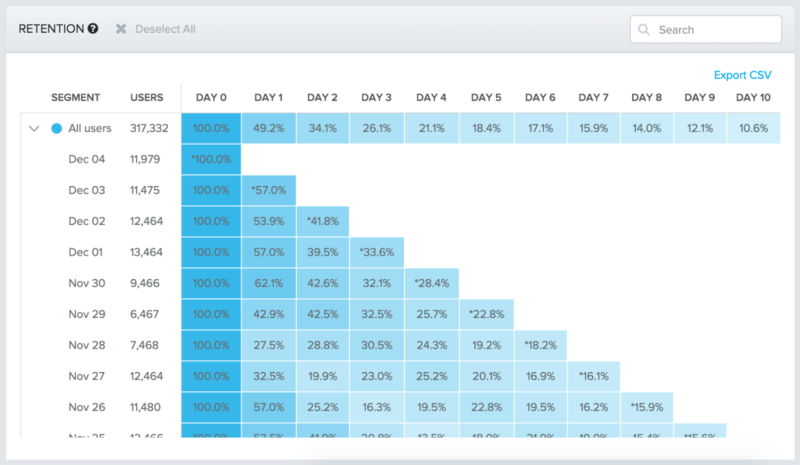 The image above shows what an acquisition cohort looks like for 10-day retention from a blog example at Amplitude, an event-tracking platform. As you can see, for the cohort of users that signed up on Nov 26, there are only 15.9% left by Day 8. To figure out your aha moment, you have to identify what actions that 15.9% of users shared in-app that got them to stick around. 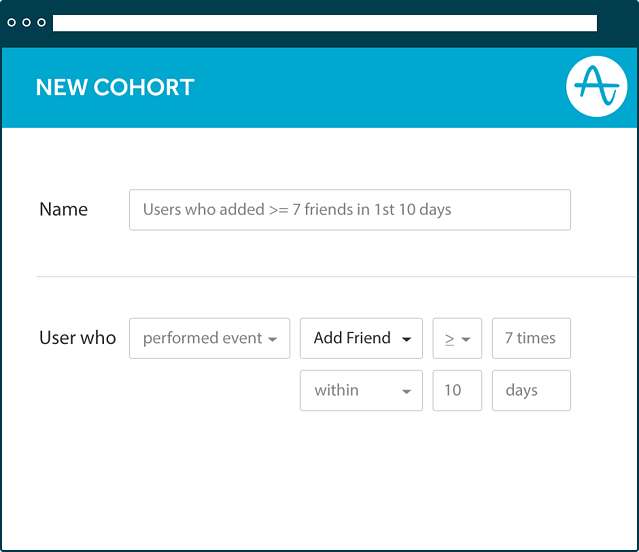 Once you've put together your cohort of retained users, the next step is to identify the core actions that they took in-app. Your aha moment will be one or a combination of these core actions. Groove, an engagement platform for inbound and outbound sales, shows us case-in-point how to maximize aha moments by identifying differences in user behavior. When Groove was getting started, it had a huge retention problem—until the company started paying attention to the difference in how retained and churned users behaved. They noticed that the average retained user spent over 3 minutes in their first session, while churned users only spent 35 seconds—a massive gap. Figuring out the early, critical actions that retained users take in your product shows you where they're unlocking value in your product, and gets you closer to your aha moment. Now that you've identified key behaviors of your retained users, you need to find out if and how strongly they correlate with long-term customer retention. Let's use the hypothetical example of a music app. Say that we've identified two actions that seem likely to trigger an aha moment within a 30-day time frame. Plot out each of these actions along a retention curve. 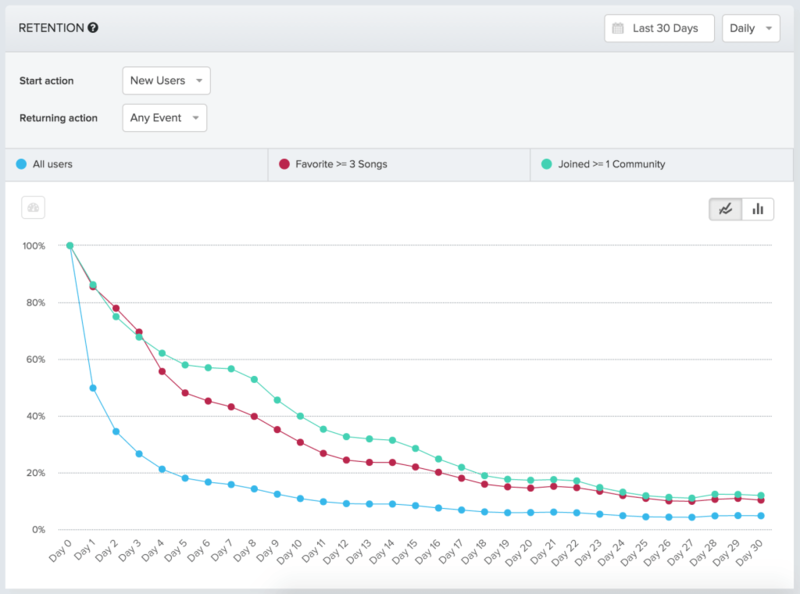 In the image above, the 30-day retention of all users is plotted out in blue. For a cohort of all users, roughly 5% are left by day 30. We can see that retention for users who favorited at least three songs is a bit higher, at roughly 10%. The retention for users who joined at least one community is even higher, at 12%. That means your aha moment is joining at least one music community. That's what you need to drive your users to do as soon as they sign up. Note: There are a lot more. For a more detailed analysis of how to find actions that correlate with retention, check out this article. Amplitude: a product analytics software known for its user-friendly design. Amassing key insights about your users is easy with Amplitude because you can segment them and analyze their behavior without having to navigate bulky and confusing software. Mixpanel: a business analytics company that excels in providing digestible reports with easily implementable feedback. 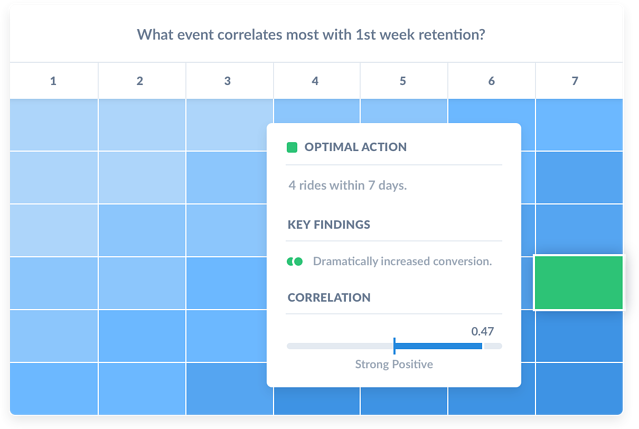 Signal, one of Mixpanel's core features, analyzes all your data and tells you key user behavior and how strongly it correlates with retention. Heap: a data analytics company that tracks every move your users make. Heap is awesome because it allows you to track every user behavior without having to write or troubleshoot any bulky code. You can then analyze the data for acquisition, behavior, churn, and retention. Now you have the knowledge and tools to find your aha moment. That doesn't mean you're done though. You'll want to use this knowledge to perfect your activation process. Now that you've identified your aha moment, you'll need to fine-tune your app so that users get to this experience quicker. 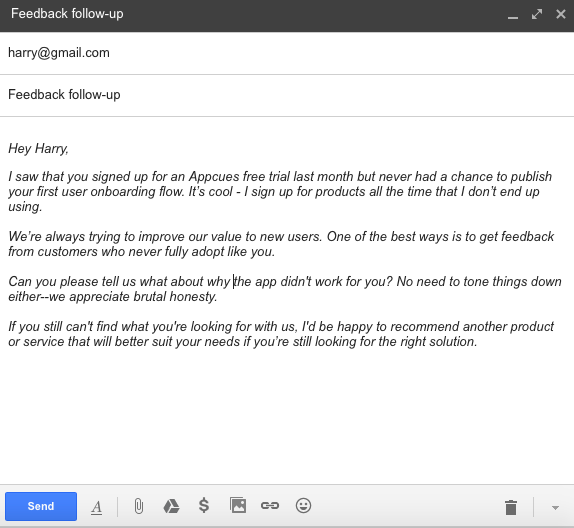 One way to optimize is by getting direct customer feedback through surveys. You'll be able to gauge what users like and don't like directly from the source. The average survey response rate is a pretty unoptimal 10-15%. While surveys are a great way to collect feedback at scale, sometimes the best way to dig into your activation problems is getting a real person on a call. Remember that your customers are doing you a favor by talking to you on the phone. Keep your email short and to the point. Clearly define how much time you're asking from them, and when. What feature do you like best? Why? What was a highlight of your onboarding experience? Why did you choose our service over others? Another great way to get people to their aha moment is by asking churned users what drove them away. Knowing what people dislike will help you trash ineffective features and give your current users the valuable experiences they expect. Although this conversation may be a bit more difficult to start, if done intelligently, you'll get the insights you need to drive users to activation bliss. Notice that this email is personalized, nonjudgmental, reassuring (no spam! ), and accountable. These four characteristics make Harry more to willing help you out even though he's already moved on. He'll tell you what doesn't work about your app, so you can solve the pain point and get people to activation faster. Was our app easy to use? Why or why not? 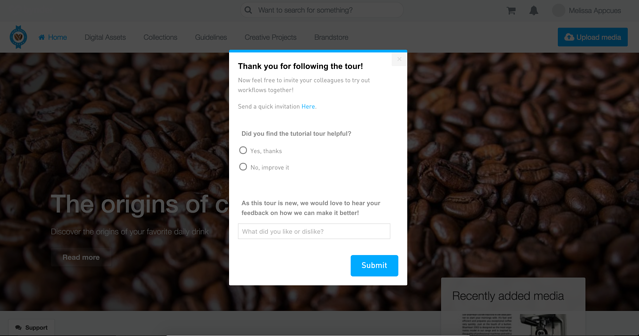 Were you satisfied with your onboarding experience? Why or why not? What was your experience with our customer service like? Another strategy to get your users to activation early-on is to send out surveys as early as you can. 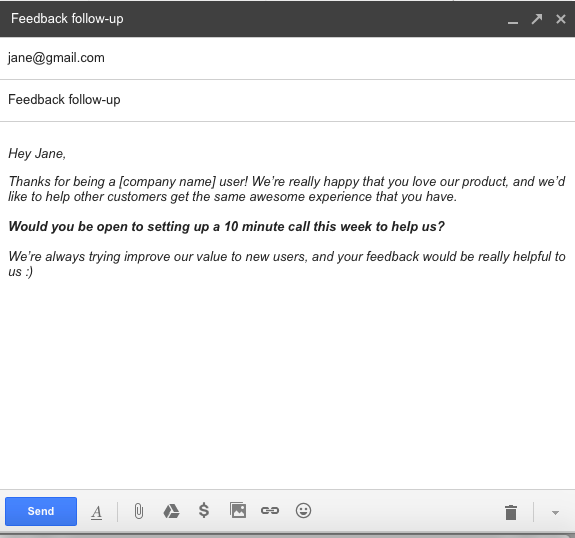 Once you've acquired a user and given them a day or so to explore your product, you'll want to get immediate feedback about their experience. This way, if they're not pleased, you can address whatever's on their mind before they say sayonara forever. Bynder, a digital asset management software, shoots out surveys with 2 easy questions early on in the onboarding process. The questions are meant to gauge whether or not the product tutorial is accessible, engaging, and easy. When the survey was originally launched, 60% of all new users answered the survey. Of that 60%, 10% provided key feedback into how Bynder needed to streamline its onboarding experience. Bynder made the changes its users wanted. Now with a cleaner, more succinct tutorial, they no longer needed to address their unhappy 10% and saw higher activation rates than ever before. Once you've identified your aha moment, you'll need to change your app to get users there faster. Knowing what, how, and when to change your app to maximize activation is going to take some experimentation. A few companies that did this effectively and found their own activation sweet spots include Canva, Pinterest, and Mention. Canva, one of Australia's fastest growing graphic design companies, knows how to experiment. In fact, the company's experiments are so effective that they've already increased activation rates and bring in tens of thousands of new users every month. Based on survey and quantitative results, Canva growth lead Xingyi Ho realized that the company's customers came from a variety of backgrounds with many different goals. He hypothesized that users would be able to reach activation faster if their paths to aha moments were personalized to these backgrounds and goals. He experimented to see if his hypothesis was correct. His experiment was easy and effective: Xingyi tested a small experimental group of users (around 5%) against a control group (everyone else) to see if personalized onboarding experiences increased activation rates. He sent the 5% an intro message allowing them to specify the poster genre they were most interested in. 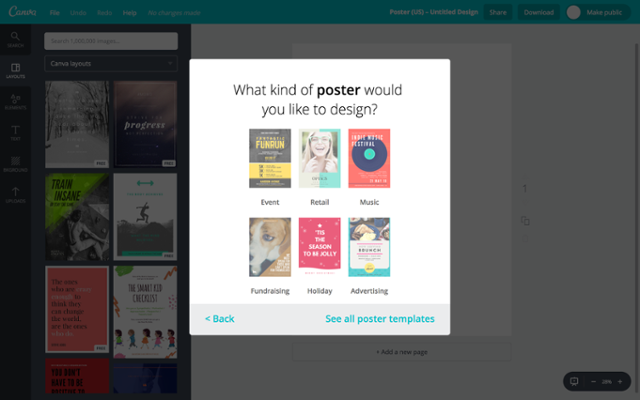 Based on their responses, Xingyi sent these users on personalized onboarding paths to help them make the posters they set out to. Xingyi proved his hypothesis correct. Within a few months of launching his experiment, Canva activation increased by 10%. 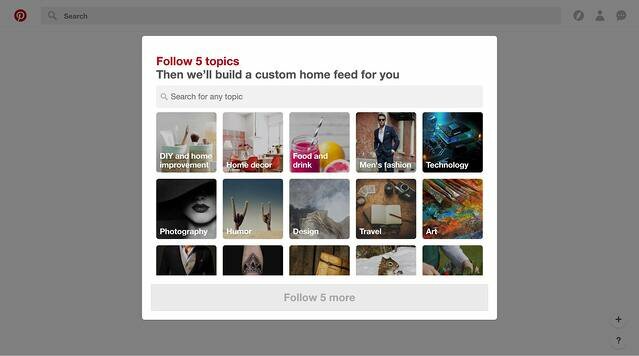 Pinterest took a similar tactic to Canva. They hypothesized that experiences customized for user geographic and cultural nuances would improve activation, and they were right. They experimented to test this hypothesis by identifying geographical data on their German users. After analyzing the nuances in middle-age German male interests from those of middle-age American men, they transformed their feeds to look like Feed 2, rather than Feed 1 below. 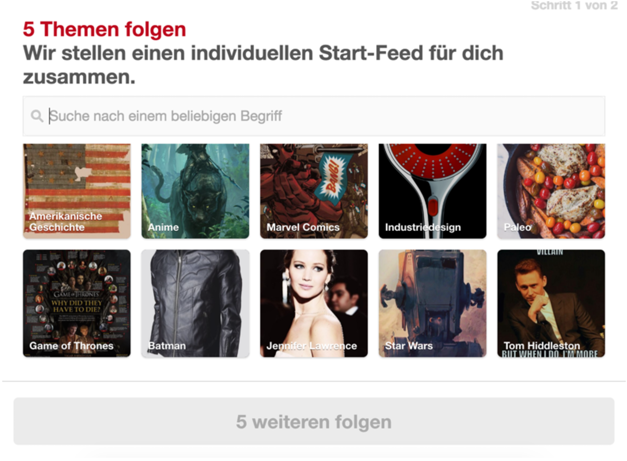 The key difference between the two is that one feed features what Pinterest thought German men would like, and the other features what German men actually like. And this difference made all the difference, increasing retention by 5-10%. Mention, a media monitoring company, hypothesized that more personable, 1:1 interactions with representatives would increase activation. They tested this hypothesis by assigning specific representatives to users during the onboarding process. Their roles were simple: check-in, answer questions, and provide helpful tips to make the onboarding process more accessible. 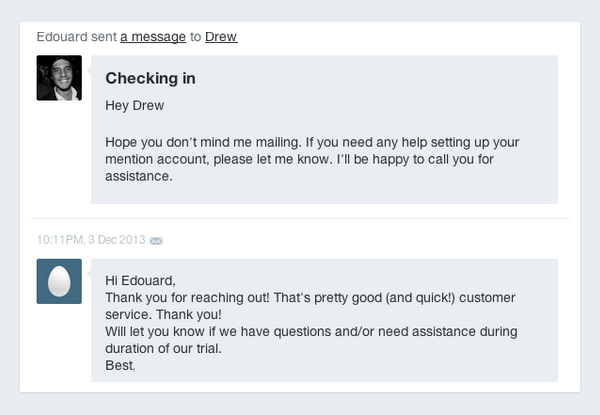 One-one-one communication with Mention representatives adds a human element to the onboarding process and speeds up activation.This personal touch worked wonders, increasing activation by 12% for their key features. Although your activation success might feel a bit different than reaching nirvana, fret not: you've made it to the motherland. If you're able to tackle your aha moments and get your users to understand why your product will transform their lives, you're golden. One more thing to note: keep in mind that this guide is a guide. The key is not to force your company to fit neatly into steps 1-3, but to adapt the steps to the nuances of your own app and users. And when you do, be prepared to have a few aha moments of your own along the way.